Z-PLATE.NET AKSES POINT ROCKET M2 The Rocket is a rugged, hi-power, very linear 2x2 MIMO radio with enhanced receiver performance. 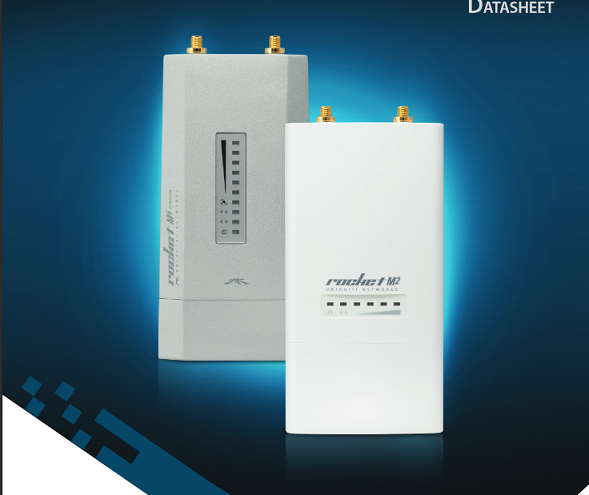 It features incredible range performance (50+km) and breakthrough speed (150+Mbps real TCPI/IP). The device was specifically designed for outdoor PtP bridging and PTMP Airmax base-station applications.